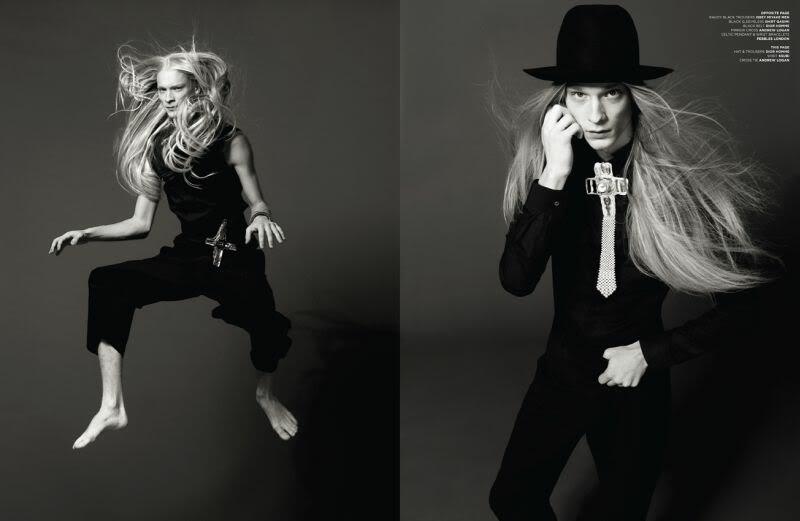 Androgyny in Fashion has been a re-occurring theme over decades of Fashion Runway and Editorial. But lately androgyny has been taking on a new power; bleeding into the streets, bleeding into the media, and exposing a new aesthetic to a world that is evolving exponentially on a social level. However, with social evolution comes social rebellion; there is always dark where there is light, and a lot of grey in the middle. 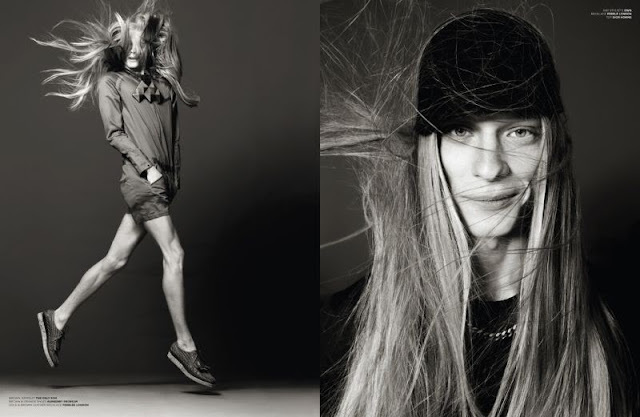 What does androgyny signify, and how does it affect the identities we've chosen to adopt? I've recently had a few discussions over the matter with other influencers in the Fashion Industry; many of which had a lot to say about androgyny in Fashion, specifically male androgyny, which is something I feel very strongly about, and something I'd like to focus on for a variety of reasons. I've showcased gender-bending Fashion in the past, but there is an enormous difference between androgynous artists and androgynous designers. Artists are typically one-offs; vivid and unforgettable, revolutionary in their own way, and massively individual. Designers are different; they hold the key to our views of gender in society, because they affect the clothes we put on - what we choose to define as feminine or masculine (dependent on how we choose to represent ourselves). That being said, there is a very powerful shift once designers start to introduce characteristically feminine cuts, and even staples, to the masculine wardrobe. All of a sudden we're presented with a new idea; the new man. A man who's masculinity becomes more of an expression of confidence than a need to be regarded as masculine by his peers; or perhaps it's the negation of masculinity as a definition of power. And that true power is the confident assertion of one self, regardless of masculine or feminine principles. There is a lot we can talk about here, I'm just presenting some different notions to get people thinking about the significance Fashion like this can mean. I'm an enormous enthusiast of individual power and the stretching and breaking of our gender-based roles and views. Growing up in my own way, faced with my own sexual journey and identity, I began to realize how insignificant the roles we are given truly are; and yet how desperately so many of us still cling to them. I grew up entranced with fascinating people who, even if in very small ways, broke those social laws. Powerful woman, colourful men, and everything in between. I recently got into a little bit of a tiff with someone who thought differently, albeit not in a hateful way. I by no means mean to imply that preferring gender being so hard-laced is hateful; I think it has a lot more to do with comfort. 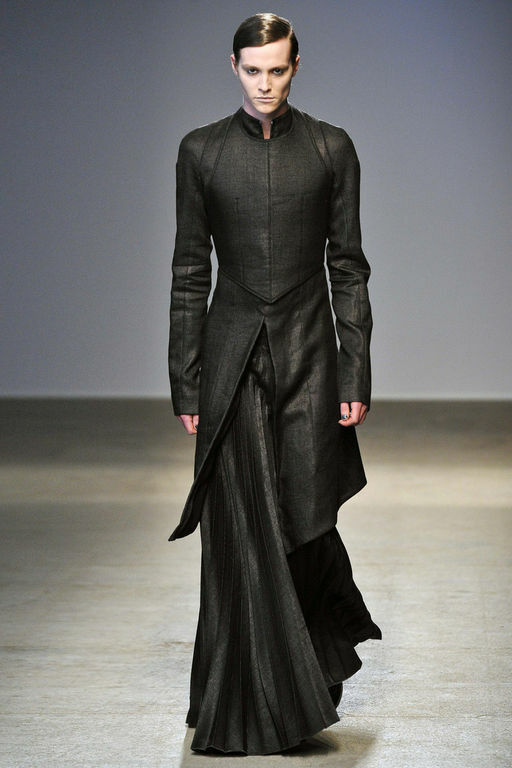 Some of these friends were making comments in mockery; claiming that Menswear looking like this is "silly" or "wrong." That the attractiveness of the male isn't synonymous with femininity, and that it's "embarrassing." 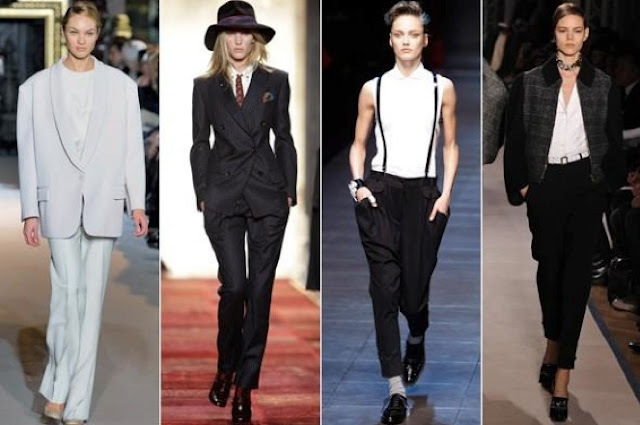 Whereas women, the prime focus of the evolution of Fashion in all of history, have been adorned countless times in men's shapes and men's clothes, an artistic embrace of androgyny - initially controversial but incredibly celebrated; vastly different to the perception of male androgyny. But personal preference aside, I think we should be looking at this shift with different eyes. I don't think people realize that when they use words like "embarrassing" and "wrong", they are putting out that energy, that idea, that looking feminine is somehow weak, less powerful, and distasteful. All of a sudden the loss of masculinity becomes this terrible, hard-edged thing: "A man shouldn't look like that." The pseudo-principle itself gives me a headache. It's terrible to put such an idea into a person's head; that they aren't desirable as a human being if they don't represent their gender in the way that a "gender" should be represented. But based on what? The hetero-normative social roles we've adopted as ultimate truth in society? That boys wear blue and girls wear pink? When you dumb it down to it's simplest, primal level, it's the same thing. I've never attributed the definition of what it means to be a man with anything physical, and I think it's a little deplorable that we continue to adopt that mindset so strongly. Being a man shouldn't be a measurement of wealth, clothing, lifestyle, or sexual prowess (predominantly hetero-normative). It should be a measure of confidant identity, mutual respect, and love - much the same as what it should mean to be a woman. It means being the human that you are, in totality, and being a good person. Some of the greatest men I've come to know about have been men that have shattered that old notion entirely, and the same can be said for some incredible women. People like to think that certain shapes are more feminine than others and certain shapes are more masculine than others. I think this has a lot more to do with conditioning. From the moment we are brought into the society we live in, we are bombarded with messages of what it means to be a man and what it means to be a woman. We have instilled in our hearts and our brains that a man is expected to look a certain way or wear certain colours; and this is not to say that there aren't exceptions of course. The common term "Metro" is an example of this, and how society has labelled the man that isn't the man we're used to (which is a word I hate to say by the way). I propose getting rid of all of that completely. We put limitations, names, and labels on ourselves, on our world, so it's more comfortable and easier to understand. But if we rid ourselves of this fear of the uncertain; that something different isn't necessarily something negative, we'd be a lot more receptive to the true variance and diversity of human identity, and a lot more receptive to the ways we can choose to represent ourselves. 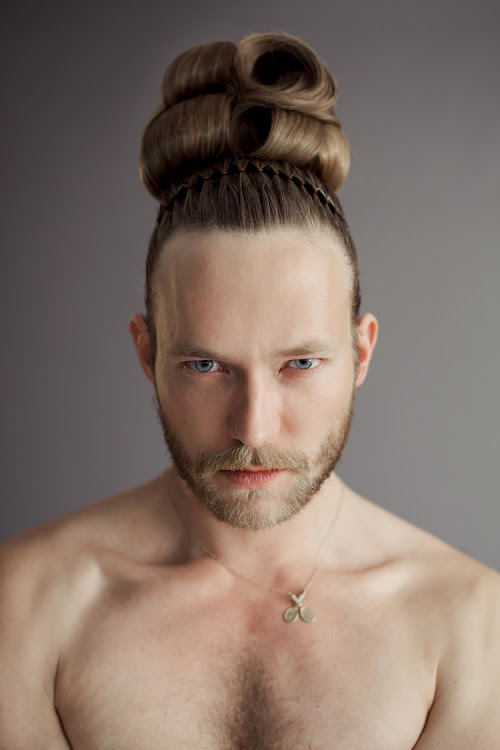 Feminine shapes can be liberating and powerful new ways to represent the beauty of men in Fashion. And I really want to stress that this in no way is meant to downplay or negate classic Fashion. 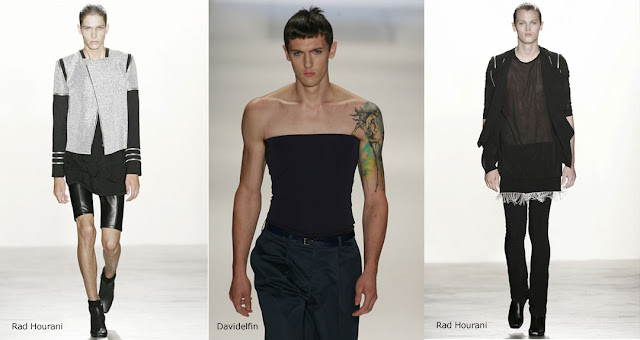 I don't propose the redefinition of gender in Fashion as a replacement to classic feminine shapes and classic masculine forms - this can never be done. The classic male will always be associated with one shape, as will the classic woman, and there is nothing wrong with that! Beauty is beauty, in the end, and beauty is based on intelligent composition. All I mean to say is that I think we should be more open-minded to the mix of gender in Fashion, and conversely, in ourselves! Society has evolved drastically in just the last few years; and we are raising sexual social issues that we never have before, and finally seeing why they are so significant! True identity isn't based on physical gender, it's based on whom ONE chooses to BE. Gender doesn't just mean the gender you are physically, it also means the gender you are in your heart and the gender you are in your head. And when we get rid of that word entirely, it will only mean the PERSON you are, which is undoubtedly the only part that really matters. I believe we should embrace the wave of androgyny, it is shedding a new light for so many who have been in the dark for so long. You don't have to be a part of it, we are who we are; but that doesn't mean you shouldn't support other people's right to be whom they are in any way they choose. Clothing is important, Fashion is significant. It is a reflection of the world and at the same time has the power to change it. As enthusiasts, bloggers, designers, artists, influencers, and new youth; we have an obligation to spearhead that movement! Be the change you want to see.